A short video showing you some of the highlights at this years London Motor Show 2018, included Liberty Walk, a Citroen 2CV food truck and lots more. Here is your chance to grab some tickets the Friday 18th May London Motor Show 2018, we have a few pairs for this is a fabulous event and this time the show is in a new venue the ExCel. We attended last years show and met some great people, saw some amazing cars and had an amazing time, our highlights included the Clive Sutton Mustang, Liberty Walk McLaren and the unveiling of the MG ZS. All you need to do to be in with a chance is subscribe to our Youtube Channel http://www.youtube.com/c/planetautouk and comment on the above giveaway video, thank you. Here is our review of the 5 seater SUV from the now Chinese owned manufacturer MG, the brand is owned by SAIC, one of the largest automotive manufacturers in the world. The car starts at £12,500 which is a crazy price and to top that comes with a 7 year warranty. It's spacious, comes with with a range of trims, with the top of the range model the MG ZS Exclusive coming in with 17in alloys, 8 in touch screen with Apple car play and leather effect seats. See how the nimble SUV rates with the Planet Auto guys, Ben and Michael. Here is our latest review of the Citroen C3 Aircross, this is a vehicle for those who like funky modern looks coupled with lots of tech and practicality. It's the perfect vehicle for a young family, very spaciious, economical and affordable. It comes with a range of engines and geearboxes, automony and driving modes for the most challenging terrains. The car is also customisable with elements of the styling being able to be coloured or even have graphics applied. 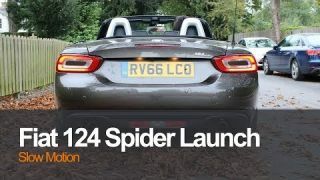 It's under 2 months till the London Motor Show 2018 at the ExCel in London, and we were reflecting on last years event at the Evolution centre in Battersea Park, and decided we needed to put together a quick video of our best bits of last years show. The LMS 2017 highlights video shows us enjoying ourselves as we explore the car show, we take a look at the new MG, David Brown Automotive and their remastered classic Mini and listen to the flooring of the Clive Sutton Mustang. This is the car we've just purchased as a collective as Planet Auto, the car is a W124 Mercedes Benz 230 CE, 4 cylinder 2.3L Petrol. She has been named Lady Dorothy or Dotty in homage to her previous owner and is 27 years old. The video shows a short drive in the German classic followed by some snow foaming of the rear of the car. Expect to see a lot of this car, as well as videos documenting the life and adventures of Dotty. Here is our review of the 2018 French 7 seater the Peugeot 5008 SUV, a well kitted out cool looking sport utility vehicle by PSA. A very economical, roomy and practical answer to those seeking a vehicle that cope with an active lifestyle, whilst looking and feeling great. A modern SUV replacing the MPV's olf old with a decent ride height, 7 seats, driver autonomy and luxury materials through out and not forgetting a panoramic sunroof, the perfect vehicle for exploring the many British Isles hidden gems. Find out more by watching the video, thank you.